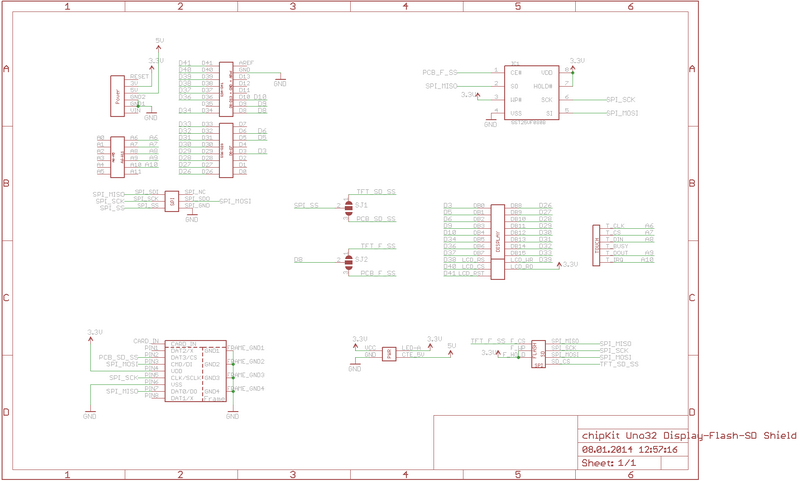 When I was developing the SPIflash library I found the TFT/SD Shields for Arduino Due and Mega from Coldtears Electronics very helpful. 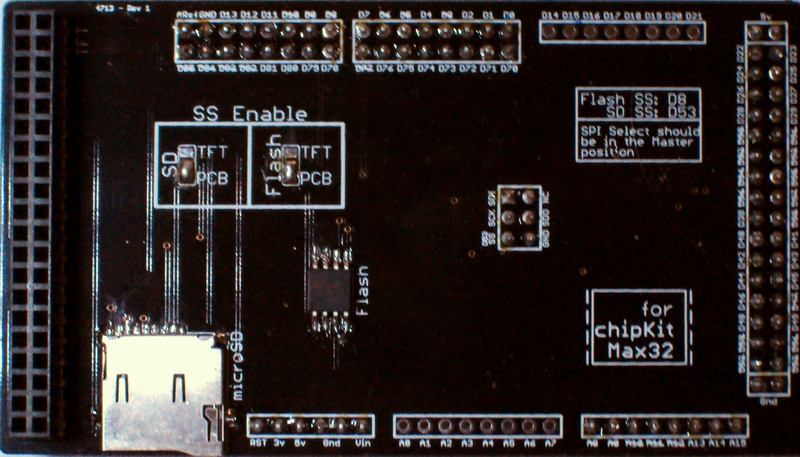 I could not find any similar shields for the chipKit boards so I decided to make my own. There is really not much to say about these shields. The 40-pin connector is suitable for TFT modules which follow the most commonly used 40-pin TFT "standard" header. 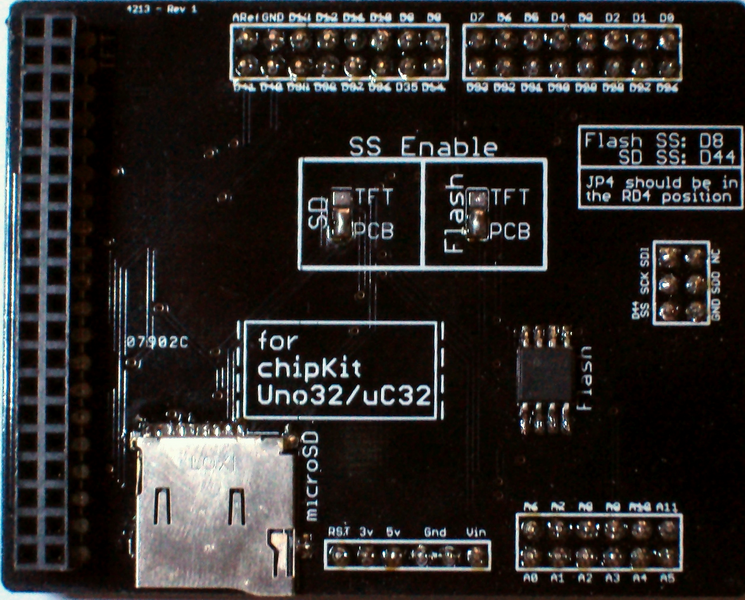 The shields use the default pin connections from both the UTFT and URTouch libraries. 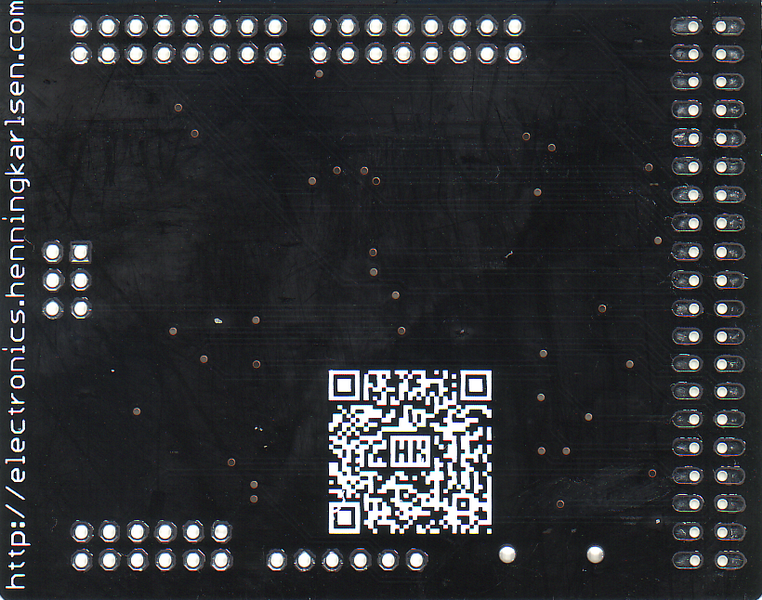 There are also space for a microSD socket and a SOIC-8 SPI Flash chip. 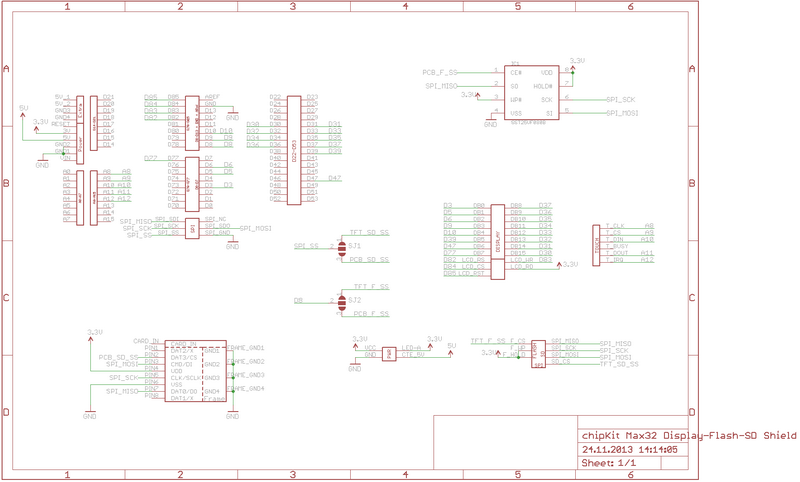 The shields support all the SOIC-8 sized Flash chips supported by the SPIflash library. 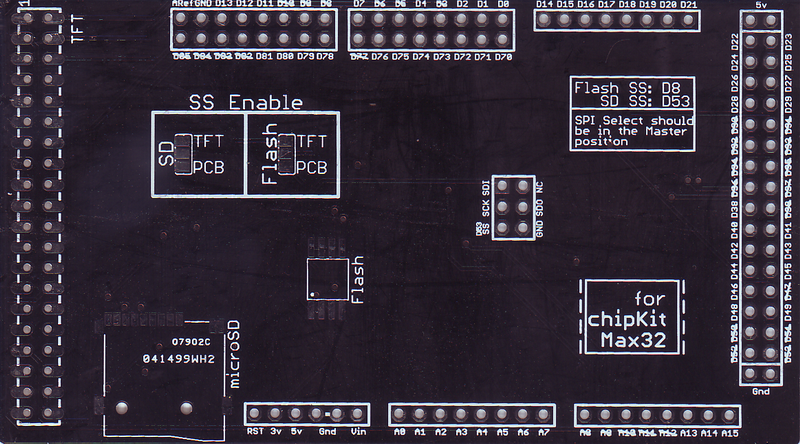 There are also solder jumpers on the shields that will allow you to use the SC card socket and the Flash chip on the display module if they are available. 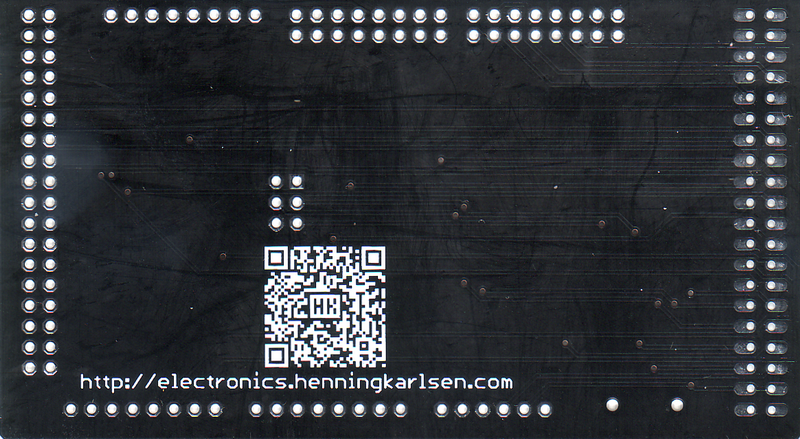 I used the PCB Service by ElecFreaks to get the boards made. These shields are available to buy through Coldtears Electronics. 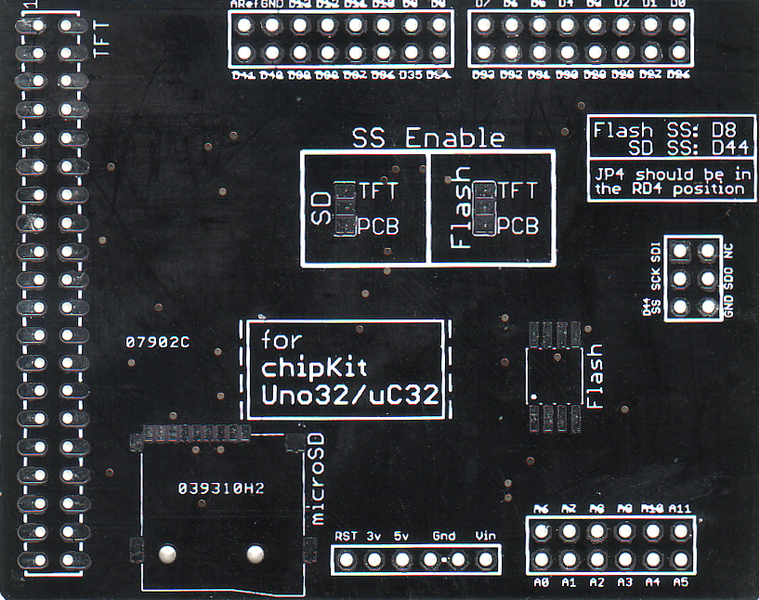 For chipKit Uno32 and uC32 click HERE and for chipKit Max32 click HERE .